Mr. Larson holds a degree in business administration and public administration from the Minnesota State University at Mankato. Mr. Larson attended Southwestern University School of Law and graduated in December of 1982 with honors. While at Southwestern, Mr. Larson was a member of the Moot Count Team. Since spring 1983, he has been practicing in the area of insurance defense, insurance coverage, transportation matters, including cargo liability matters and commercial litigation, and employment including wage & hour matters. He has litigated and tried commercial cases, general liability matters, construction defect matters, product liability matters, insurance coverage matters and general tort liability cases, including toxic tort litigation and coverage litigation arising from toxic tort claims. 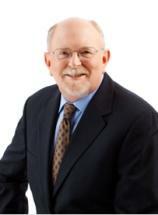 Additionally, Mr. Larson has represented a number of governmental agencies with respect to governmental tort liability. His published decisions include Stonewall Ins. Co. v. The City of Palos Verdes Estates, et al. (1998) 23 Cal. App. 4th 989 and Shannon v. Sims Service Center, Inc. (1985) 164 Cal. App. 3rd 907. Mr. Larson has authored continuing education programs regarding insurance coverage issues, current trends in construction defect litigation and a basic primer on civil litigation: “Workers’ Compensation Subrogation Basics”. Recently, the Californian Department of Insurance re-certified 2 of Mr. Larson’s courses for the Continuing Education for the Insurance Industry: “Additional Insured, Crawford, Subrogation…Who’s on First” and The Importance of Being Earnest: Why Ethical Decision-Making Matters. Additionally, Mr. Larson has presented programs to various organizations on insurance and general liability matters. He has also addressed transportation groups on current topics in the transportation industry. Mr. Larson is a member of the State Bars of California and Utah. He belongs to the key state and federal bar associations and is a member of the Truck Insurance Defense Association, The California Trucking Association and Transportation Lawyers Association. In 1988, he was appointed by the Los Angeles Superior Court as an Arbitrator and Mediator. Mr. Larson has also conducted private mediations on complicated transportation issues. Swiss Re Scottsdale Ins. Co.